It's probably fair to say that most all-in-one liquid-coolers being released at the moment list RGB lighting at the top of their new or improved features, and if you're not adverse to some added visual pizazz then Deepcool's Gamer Storm Castle 240 RGB is definitely worth a look if you're in the market for a 240mm AIO cooler. 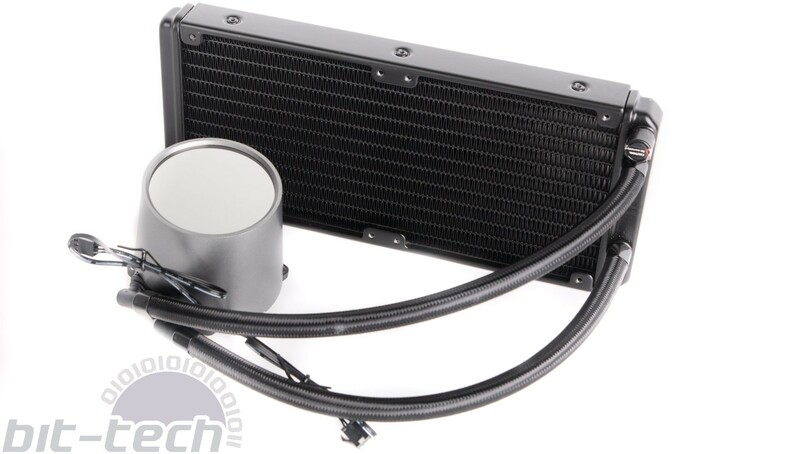 We're looking at a typical AIO cooler here, although like many we've seen with RGB lighting built into the pump section, this part is fairly tall, perhaps even castle-like, although this is clearly unlikely to pose many issues unless your case has a cooler height limit of less than 71mm. The Castle 240 RGB is compatible with every popular desktop CPU socket with the exception of LGA 775 (far less relevant these days anyway) and even includes brackets for Socket TR4, which many other manufacturers omit as optional items. 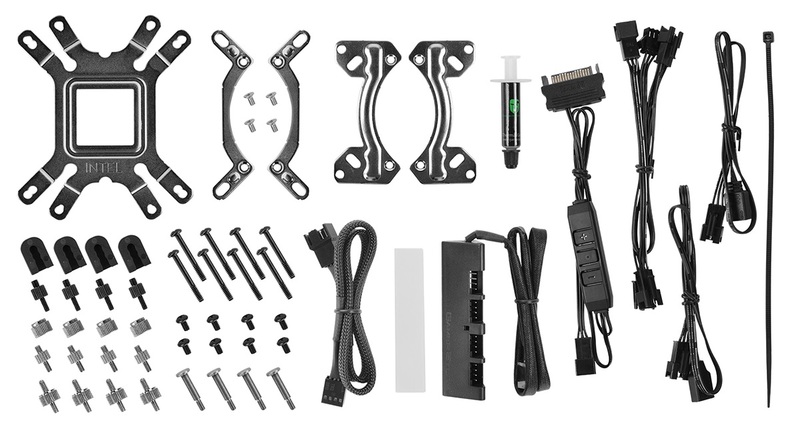 Installation is fairly simple, too, with brackets fitting to the pump and thumbscrews securing to pins that screw into the socket holes on TR4 and LGA 20XX, use an included backplate for LGA 115X, or use the stock backplate with other AMD sockets including AM4. There are enough fan screws for the two included 120mm fans, but you'll need to buy more if you want to add a second row for a push/pull configuration. The contact plate appears large enough to cover the dies on a Threadripper CPU, if not the entire heatspreader, and it's certainly larger than those on Corsair's recent coolers. There's enough thermal paste included in the box for one application, possibly two for mainstream CPUs. As usual, the one downside to having RGB lighting is that you'll have an extra set of cables to deal with, bringing the total to six including the individual RGB and power cables for the pump and two fans. Thankfully, these don't need to split off in different directions, as Deepcool has included both a four-channel PWM fan hub to tap into your motherboard's fan control using a single header, as well as cables for the RGB lighting on the pump and fans that hook up to an included controller. You can't connect this to your motherboard, but you can connect other three-pin addressable RGB devices to the controller using an included cable. You can flick through various lighting effect modes as well as adjusting the speeds or picking from solid colours. The lighting is vivid, and the pump section especially lights up in a smart, rather clean way rather than being blinding or garish.